Police need the assistance of the public to locate Marcus Lee Miller, a 35-year-old black male. He is the suspect in the shooting reported at approximately 10:16 p.m. Saturday. The 23-year-old male victim was shot multiple times by Miller, witnesses reported to Police, at a home in the area of Scott Avenue and 12th Street. The victim remains at OU Medical Center in critical but stable condition. The victim was transported by ambulance to Ponca City Alliance and then flown to OU Medical. Miller is about 5’6” tall and weighs approximately 150 pounds. Miller also goes by “Tank”. He has a criminal past including domestic abuse, drug and firearm arrests. He currently has multiple outstanding warrants. 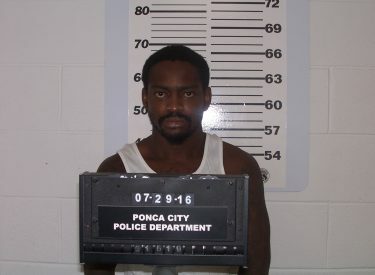 Anyone wishing to provide an anonymous tip with information that leads to the arrest or apprehension of Marcus Lee Miller, please call the Ponca City Area Crime Stoppers program at (580)762-5100. As always, you will remain anonymous, and you may receive a reward of up to $1,000.